Rosemary Nankabirwa, one of the best female news anchors that made youths and middle aged men start watching night news, died on Sunday in Agha Khan Hospital, Nairobi. She was 37. The cause of her death was adrenal cancer, a disease she battled since early December last year. Her mother Mrs. Rebbecca Kibirige said Doctors diagonised her daughter with adrenal cancer at Mulago in late December last year. Former, NTV Uganda Farai Mwakutuya, who co- anchored with her on News at 9 said “she will be forever be remembered as one of the best there has ever been.” He described her as the highlight of his days having got the honour and privilege to work alongside her. 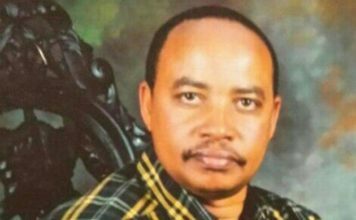 “We used to joke in the newsroom and I want to point a day when Kato joked the word “nonsense” and we burst into laughter,” said Andrew Ariko after hearing that Rose had passed on. In a society where beautiful women were thought to be feeble minded, Rose disproved that. Nanks, as Ernest Bazanye called her in his articles, was a woman who almost knew everything. “I consider myself a person of considerable intelligence and I am …….trust me … able to read a bill and comprehend it,” she boasted on one of her word press blogs. Nankabirwa joined the media industry in around 2005; she was the first female Ntv news anchor a company she joined in 2006 after leaving Wavah Broadcasting services WBS. She technically changed the face of news anchoring for women. “She demonstrated ability to read news with passion. She demonstrated to us that a woman could do it equally the same as a man,” commented one of her former bosses. Many students were inspired by Nankabirwa, she was that news anchor you watched and wished there could be like her. She was smart always, wearing her suits, smiling and she owned the moment. To her anchoring wasn’t a task, it was a hobby. “Thank you for being and inspiration to many of us. My days at University watching you as a anchor paid off,” said Sheila Nduhukire. If you doubted her faith in God, then it’s high time your view changed. Even on her death bed, Pinky prayed to the lord to save her, she wore a rosery and was a staunch catholic, she believed that the lord would save her, when most people get some little energy they either eat or ask their loved ones to come and be by their side. When Rose found some little power, she thanked the lord to save her. “Jesus save me” were the last words as the lord took her soul to rest. “She first closed her eyes, and after 10 minutes, she gained some energy and said Jesus save me. 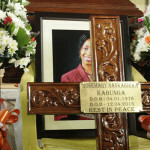 Immediately, she breathed her last,” said Catherine Nayiga, Nankabirwa’s sister. 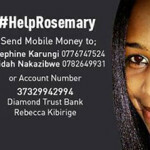 “When I read for her the letter from a 5-year-old girl a pupil of Rohana Academy who sent her sh20,000 she had got from a ‘rat’ after removing her tooth, she became strong and promised me that she was going to fight on” said her sister Cathy. Although many disputed her age with some claiming she was older than 37, Rose never said a word, she knew she was young, lively and she had a whole world to herself and to her that meant everything. Maybe she discovered she had cancer some years back but she kept it to herself because she didn’t want her loved ones to worry, her mother only knew last year that her daughter had cancer when she was tested at Mulago. 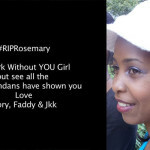 Rosemary Nankabirwa was born January 3, 1978. 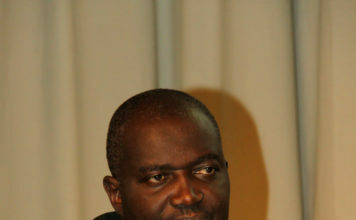 Back in Uganda, Nankabirwa worked for Kampala FM, in 2005, WBS television and later joined NTV in 2006. 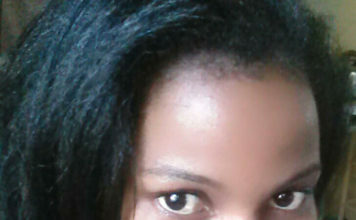 She once worked as a computer programmer but quit after a year and then joined Kampala Fm as a reporter and presenter where she left after one year and joined television. She the joined WBS television as a news anchor on Lunch time News, did a breakfast show and prime news. She was also an editor with WBS. She joined NTV in 2006 as a News at 9 anchor and reporter. She was also the presenter of a business magazine that aired weekly. At the time of her death she was pursuing a degree in journalism at the University of London in the UK. 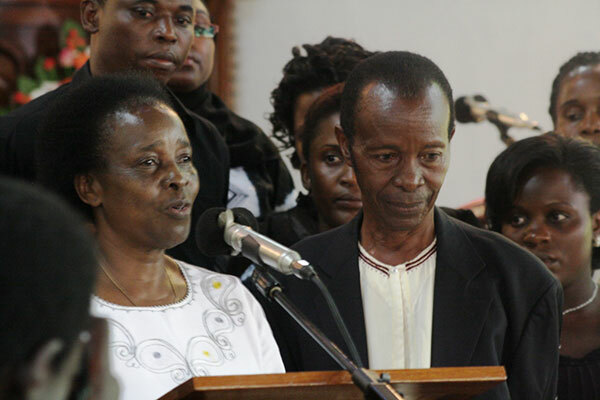 Preparations for her requiem will be today at 2 in the afternoon at Christ the King and funeral will be in Masaka on Wednesday according to her brother Robert.